When you must make precise temperature measurements, Physitemp Instruments can provide you with a very accurate temperature monitor and Type T thermocouple microprobes. Physitemp thermometers have a resolution and accuracy of 0.1°C in the 0-50°C range and are traceable to NIST standards. Other competitive electronic thermometers might have 0.1°C resolution, but their accuracy is usually to 0.5°C or worse. Furthermore, all our type T clinical probes are guaranteed accurate to ±0.1°C, due to our stringent wire standards. These are five times more accurate over this range than competitive probes made with regular "Special Limits" wire. 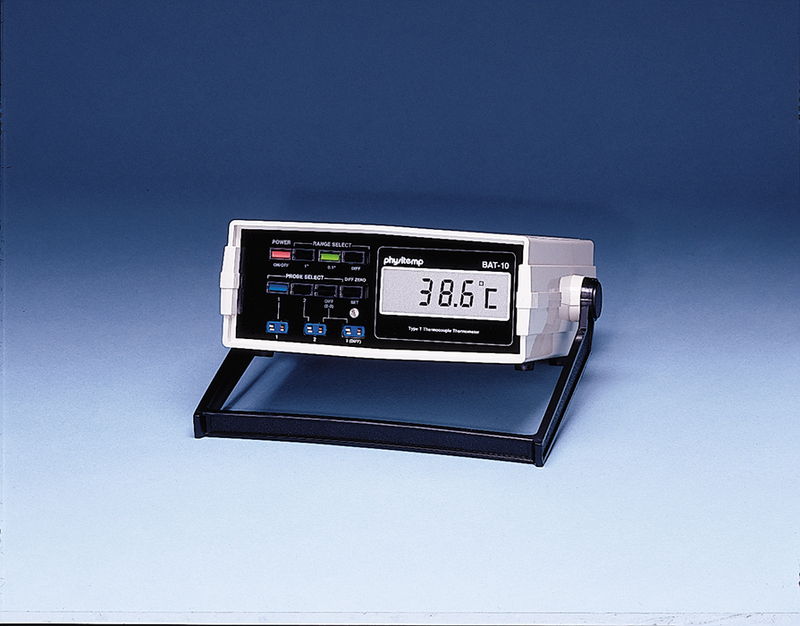 When temperature control is required either before, during or after animal surgeries, we offer precise and consistent temperature control with our TCAT-2 series Temperature controllers. 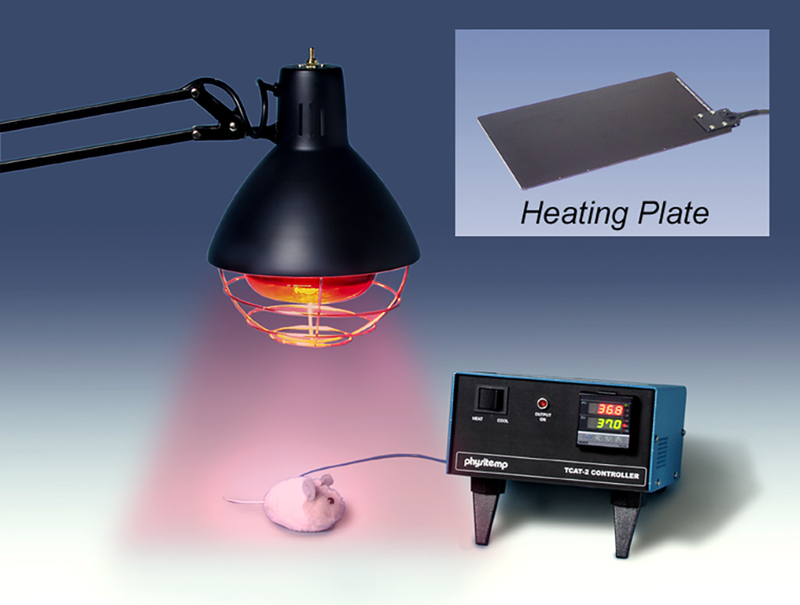 Our controllers can be coupled with either our infrared Heat Lamp, HL-1, stereotaxic Heat Plates, HP-1M and HP-4M and/or our warming blankets, WM-1 and WM-2. In addition to our precise temperature monitoring equipment, we offer a complete line of thermoelectric heating and cooling stages for both microscopes and microtomes. 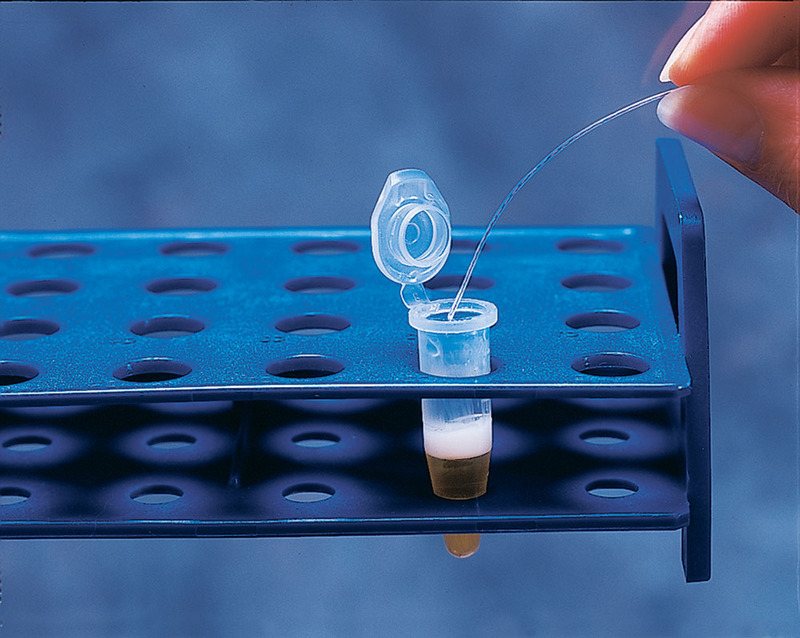 Our TS-4MP series, thermal stages fit most microscopes and enable specimen temperature to be maintained and regulated at any temperature between -20° and +100°C to within ±0.1°C. We also make custom stages for special applications. Our BFS-MP freezing stages for microtomes offer an inexpensive solution to frozen tissue sections and fit easily onto most microtomes. Freezing starts immediately and can be maintained indefinitely. Our neurological testing devices, the Vibratron II, vibration sensitivity tester and the NTE-2, thermal sensitivity tester were designed to detect and quantify peripheral neuropathy non-invasively. Our neurological testing devices are widely used in current medical applications for the detection and diagnosis of Carpal Tunnel Syndrome as well as in pharmaceutical research studies on Diabetes and AIDS and detection of neuropathy due to toxic chemical and drugs. 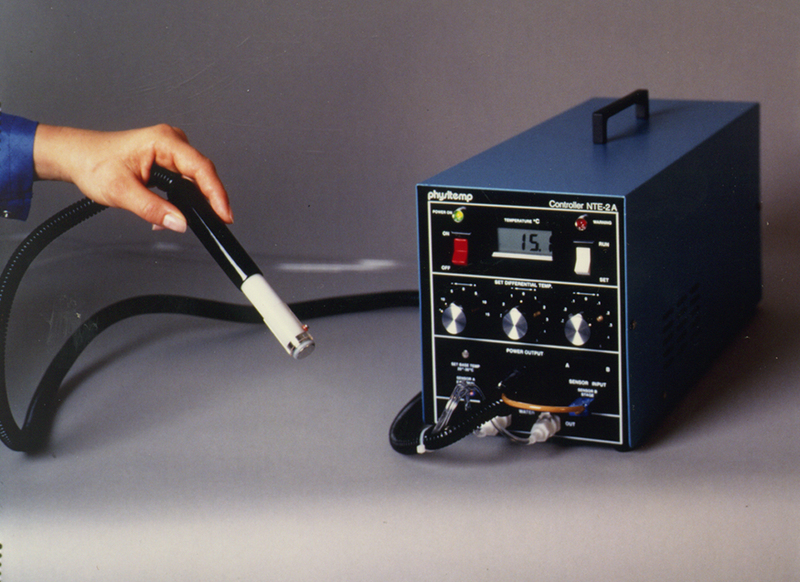 The Thermal devise is also used extensively for pain studies.